With Dead River Company's MyAccount, you can view account balances and transactional details online, as well as make payments on your account. 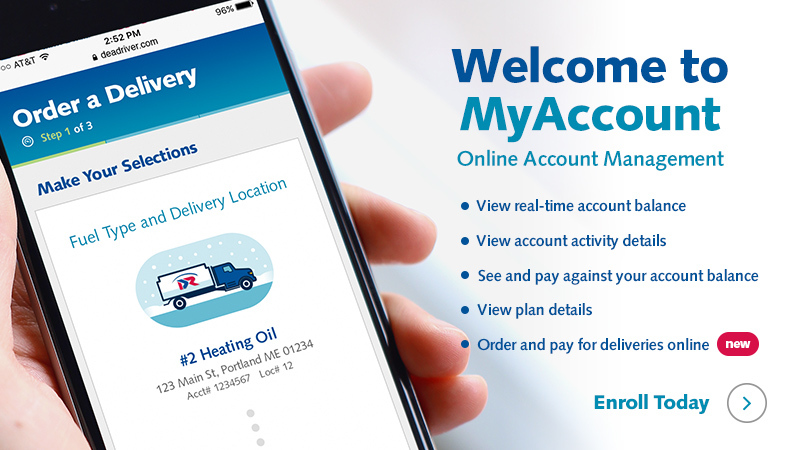 For the convenience of our will call customers – those who contact us to schedule a delivery – we offer the ability to order and pay for your fuel online. Each time you have a new billing document, you will receive a notification. If you are enrolled in a monthly budget plan like EasyCAP, Fixed Price Budget or Equal Payment plan, you have the option of setting up to have your monthly budget amount automatically paid.